The Australian Restructuring Insolvency and Turnaround Association (ARITA) is Australia’s leading organisation for restructuring, insolvency and turnaround professionals. Our membership comprises accountants, lawyers, lenders and investors, academics and other professionals with an interest in restructuring, insolvency and turnaround. We manage the application of bankruptcy and personal property securities laws through the delivery of high-quality personal insolvency and trustee, regulation and enforcement, and personal property securities services. The Australian Securities and Investments Commission is an independent Australian government body that acts as Australia’s corporate regulator. ASIC’s role is to enforce and regulate company and financial services laws to protect Australian consumers, investors and creditors. Allens has a leading restructuring and insolvency practice. 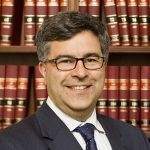 Farid Assaf is a Barrister at Banco Chambers, Sydney. He was admitted as a Solicitor in 1998 and commenced at the Bar in 2000. 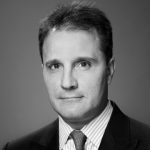 Scott practises primarily in the areas of domestic and cross-border insolvency, banking and commercial litigation. 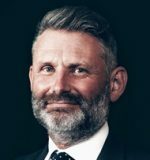 He was called to the bar in 2005 and in 2015 he became the first member of the NSW Bar to be made a fellow of INSOL International and was recognised in Doyle’s Guide as one of Australia’s leading junior counsel in the field of insolvency and reconstruction. At Ashurst we provide a comprehensive service to our clients on the full spectrum of issues that arise from distressed situations. The ACFE is the world’s largest anti-fraud organization and the premier provider of anti-fraud training and education. Together with nearly 85,000 members, the ACFE is reducing business fraud worldwide and inspiring public confidence in the integrity and objectivity within the profession.